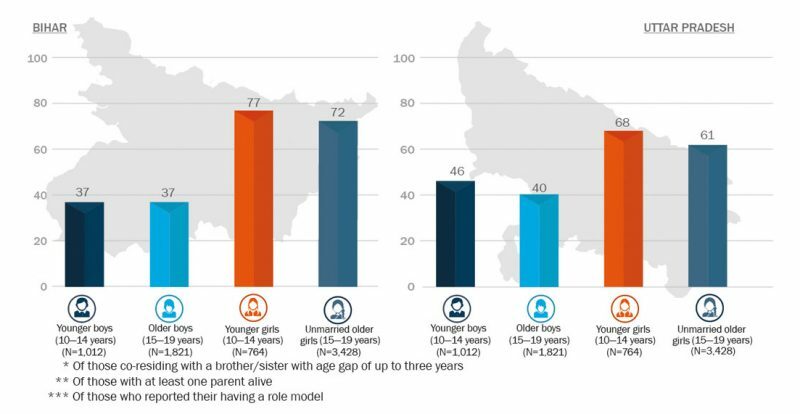 Parental factors play a crucial role in providing adolescents the supportive environment necessary for the acquisition of assets as well as healthy, safe, and successful transitions to young adulthood. 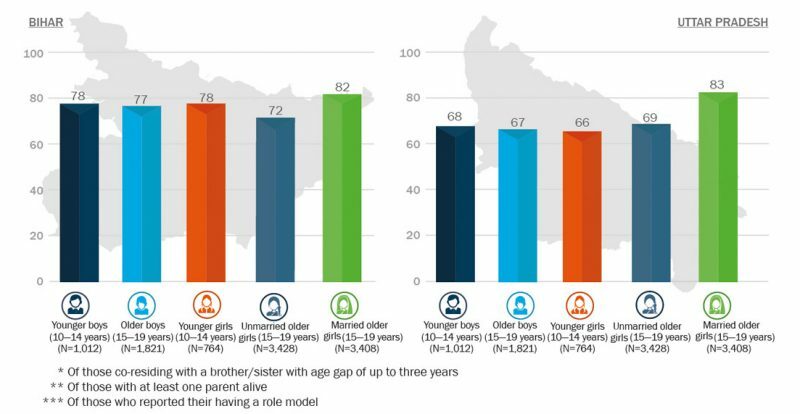 UDAYA examines the extent of parent-child communication about everyday activities as well as sexual and reproductive issues, their perceptions about parental closeness, and their home environment. 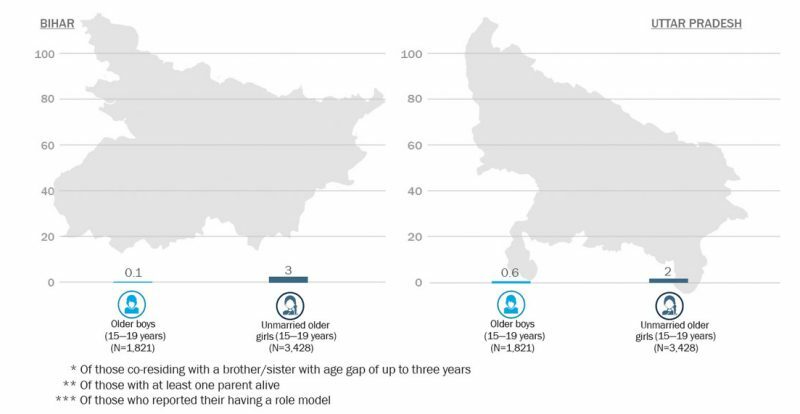 UDAYA also assesses the extent to which adolescents had ever witnessed parental violence or had been the victim of violence perpetrated by a parent. 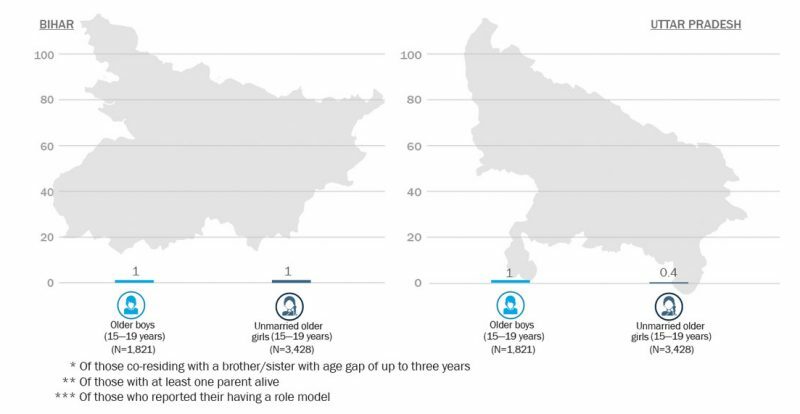 In both Bihar and Uttar Pradesh, just 1 percent or fewer older boys and 3 percent or fewer unmarried older girls reported discussing reproductive processes with either their father or mother. 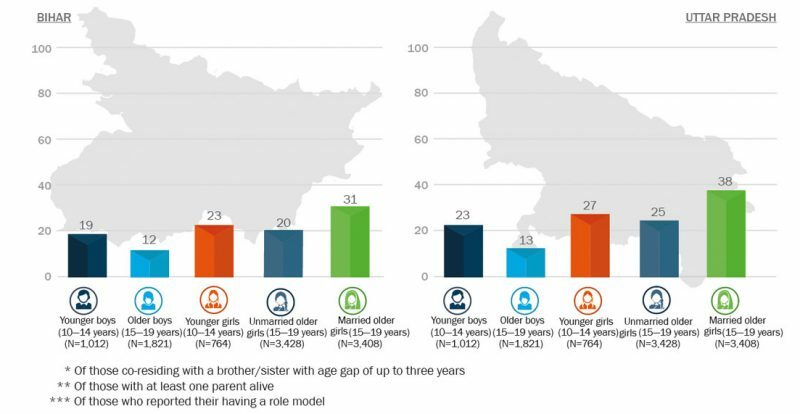 One-quarter of young adolescent girls in Uttar Pradesh and one-third of them in Bihar discussed puberty related issues with their parents. 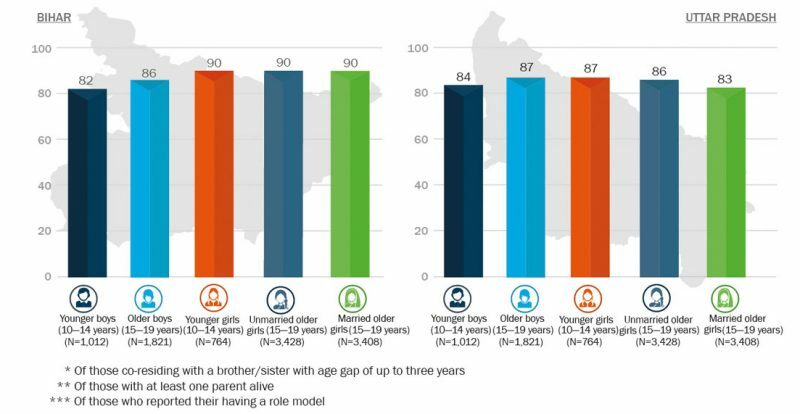 Parents were the primary source of information on puberty for younger boys and parents were also the most preferred source for information on puberty. 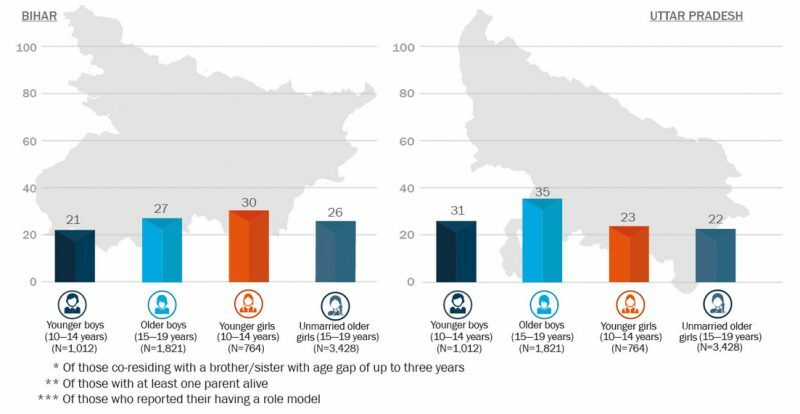 A majority of adolescents identified their parents as their primary source for learning social behaviour. 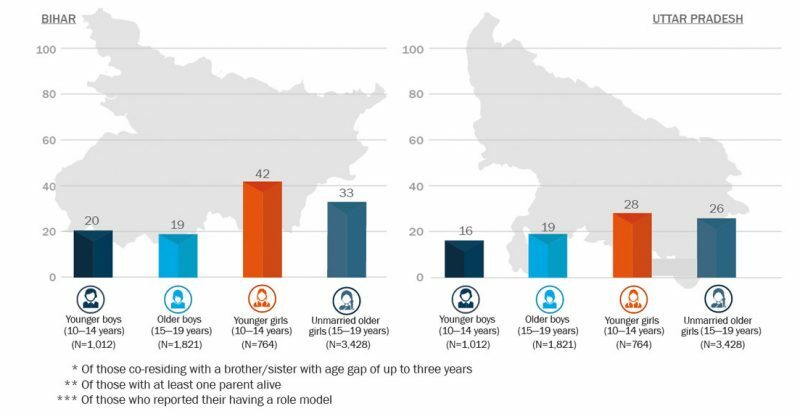 Around two in every three adolescent boys and between three in five and three in four adolescent girls in both Bihar and Uttar Pradesh indicated that their role model was someone in their family.